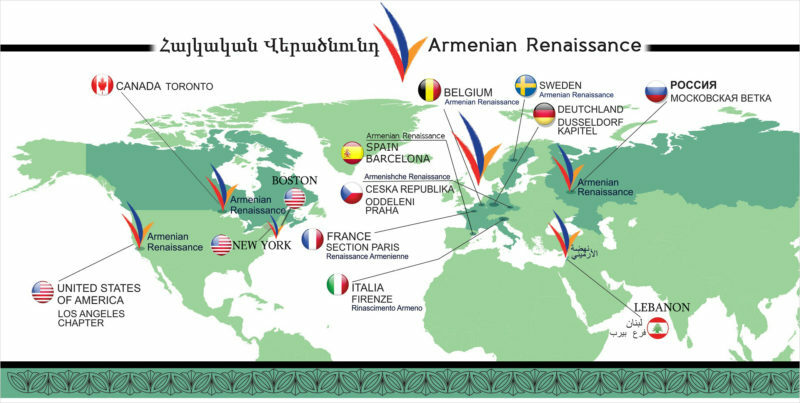 The Armenian Renaissance Diaspora Movement reiterates its firm commitment to support the national liberation movement started by the Daredevils of Sassoon (Sasna Tsrer). In its twenty five years of independence, the Republic of Armenia has not developed in any field – economically and in terms of real democracy and human rights, the reunification of Artsakh, strenghetning Armenia’s independence and developing international commerce. On the contrary, thanks to the successive illegitimate governments, the population has been severely reduced and more than a third of the population lives in poverty. Instead of setting a legal victory in the Artsakh war, we are confronted by the serious danger of surrendering lands to the enemy. Most catastrophically, today the Republic of Armenia has much less sovereignty than in any period of time throughout its twenty-five year history since declaring independence. There is no doubt that the government of the Republic of Armenia, forcefully occupied by Serzh Sargsyan’s criminal regime, is pursuing a policy aimed at turning Armenia into a colony one by one destroying Armenia’s sovereignty factors. At this crucial point, realizing the impending tragedy of loss of statehood and homeland, the members of the Daredevils of Sassoon (Sasna Tsrer) group went to an extreme, risking their lives in order to prevent disaster. One of their goals was to awake the people, which has already happened. The Armenian people both in Armenia and in the Diaspora are shocked; awakened and appreciate the Daredevils of Sassoon’s selfless act. It is evident in Yerevan and cities throughout Armenia and the Diaspora. Many communities are continuing demonstrations in support of the Daredevils of Sassoon. However, the prime goals of the Daredevils of Sassoon; removal of Serzh Sargsyan’s regime, creation of an interim government, release of all political prisoners, restoration of the sovereign state of the Republic of Armenia, security for Artsakh and the liberated territories and their reunification with Armenia, have not yet been fulfilled. In order to fulfill the objectives the Daredevils of Sasoon, the combined efforts of the whole nation are necessary, in which the diaspora should have a very important role. In the shaping of an independent, free, sovereign, democratic and powerful Armenia, the diaspora not only has the right, but also has a sacred obligation. 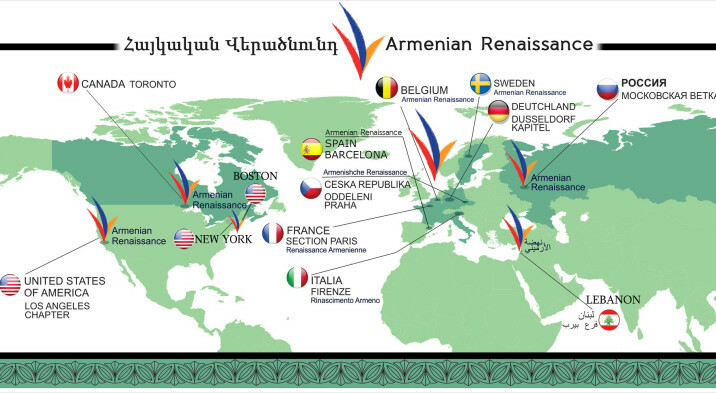 The Armenian Renaissance Diaspora Movement expresses its readiness to cooperate with all individuals and organizations in Armenia and the diaspora for the implementation of the Daredevils of Sassoon’s goals, as well as proactively informing, mobilizing and convoking the diaspora. We urge everyone to join the liberation struggle. Do not lose hope. Let’s build a homeland that deservers the Daredevils of Sassoon of the national epos and of present day. Victory is ours because right is ours. Victory is ours because all struggling nations are victorious. Long live the Daredevils of Sassoon and the free Armenia they dream of.